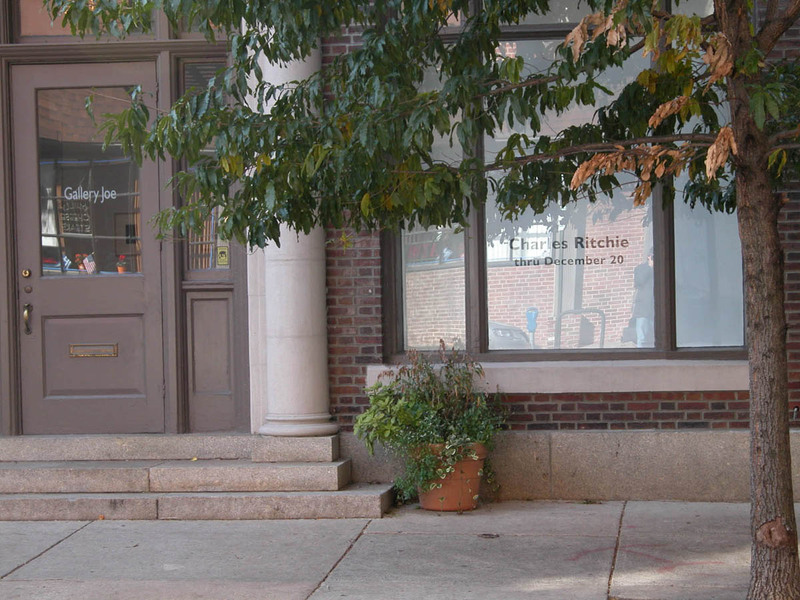 Photograph of Gallery Joe, Philadelphia, Pennsylvania, November 2008. Making art is difficult enough without expecting it to pay the bills. I was lucky and found a parallel art career as a curator that freed me to pursue my creative goals without pressure to produce. In my early years I didn’t show my art because I didn’t need or want to. Alexander Pope’s advice to Dr. Arbuthnot seemed reasonable to me: create your work and put it away for nine years. If you still like it after that period, go ahead and share it. Recommendations like this, rarely taken in our age, may seem over the top. But the idea of distance providing clarity appeals to me and I was in no hurry. I just wanted to do the best work I could. Early on I began to store my works in a box. I found it useful to hold onto the original drawings as references when I serially examined my subjects. Thus, for many years I didn’t want to sell my work because it was counterproductive to developing my art. The arrival of digital scanning and printing helped ease me away from this attitude. Being able to print out a good quality ink jet print may not be a perfect substitute for having the work itself, but it is far more effective than relying on color slides, a recording format I struggled with for many years but loathed. But the greatest advantage of retaining works is that my I had built up holdings before I began to exhibit. That is why a current exhibition at Gallery Joe in Philadelphia can present a thirty year career view. I am not certain what made me change my mind about showing, but after testing the waters in various competitions and group venues in the early 1990s, I began to look forward to the audience and potential feedback. I also liked seeing what I had created outside the studio context. With a few commercial galleries beginning to show interest, sales began to happen. However, none of the gallery relationships seemed to fit, and rather than present my works in a less than comfortable exhibition situation, I kept the work close. Then, I found Gallery Joe. Or rather, Becky Kerlin, the gallery director, found me. In 2003, Becky saw a group show that I was in, liked the work, and communicated she would like to see more. We connected, and by 2005 I was in a group show called water color: current views at Gallery Joe; and then in 2006, I had a whole room to myself at the gallery in a presentation titled Suites and Pages. The relationship blossomed; Becky is an artist’s dream to work with, she has a great eye for art, and I admire the artists she shows. Becky offered to let me fill the entire gallery, thus we have From the Inside Looking Out; a survey of new and old, drawn from fresh directions in my work and holdings from my little box. 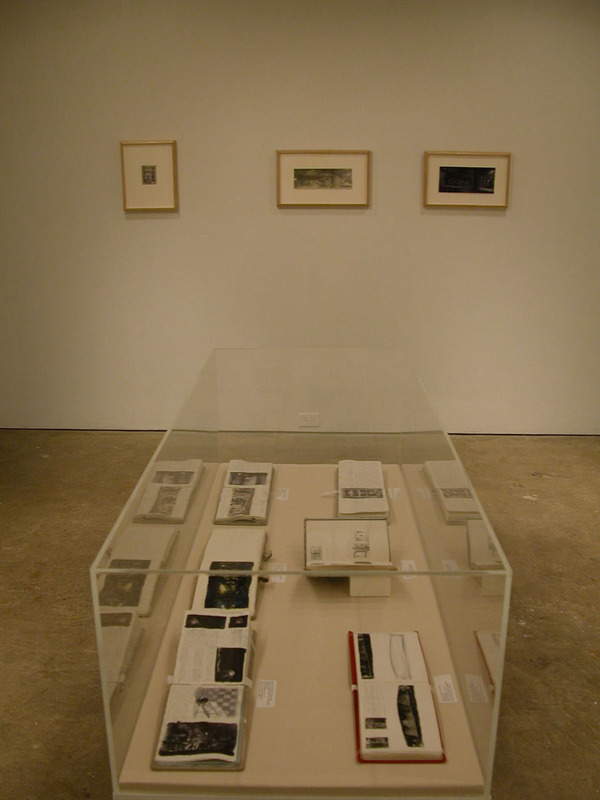 Photograph of the installation of the exhibition, From the Inside Looking Out: Charles Ritchie at Gallery Joe. 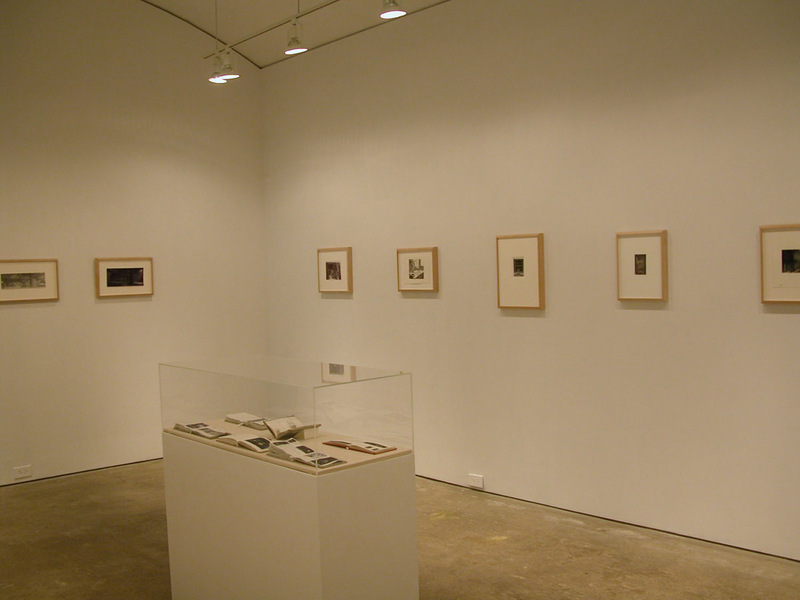 Other installation photographs and selected images of works on view can be found on the Gallery Joe web site. The show runs through 20 December 2008.